Have you been locked from your car, house or office? If you need assistance for such stressful and tedious times, contact King Locksmith for professional locksmith services in Montgomery Village. King Locksmith is an industry-leading and award-winning service provider within Maryland and Washington DC. We carry years of experience in the field of locksmith services, with thousands of cases successfully completed and relatively thousands of clients who’ve been nothing but happy and satisfied of our work. Our Montgomery Village Locksmith Team provides fast, quality and reliable service for all your locksmith needs. 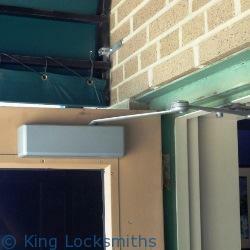 King Locksmiths has been well respected and lauded for their Montgomery Village Locksmith services. We are the finest Montgomery Village Locksmith service provider you can possibly find within the entire stretch of Maryland and DC. But what makes our Montgomery Village Locksmith Team better than others? Our locksmith services are varied immensely, which enables us to meet the specific needs of clients. We offer three main services, namely automotive, residential and commercial. King Locksmiths is a professional Locksmith in Maryland giving complete automotive, residential, commercial and emergency locksmith services. However, that is not all we do! We, at King Locksmiths, also specialize in door installation, repair and replacement services – which is required for a secured and safe entrance to your home or business. We have been in business for a long time which has equipped us with the necessary skill and training in the field of door replacement. King Locksmiths happens to be one of the best companies for locksmith services and door installation, repair and replacement serving Montgomery Village Maryland, and all surrounding areas. The doors are assuredly a most important features of any establishment or home, whether the property is commercial or personal. Homeowners and business owners alike should always check to see that their doors are in acceptable working condition. If you notice any issues or problems regarding your doors, one of the best steps to take is to call door a replacement, repair and installation company. But who should you decide to contact? Well, deciding on the best establishment has everything to do with getting the services that you deserve. All of the procedures that are included in the specialized service will be executed by our experienced and trained door installation specialists who are experts in the specific knowledge, training and skills for application in the process of installing new doors in a business. The first step in completing this service is that of the process of inspecting all of the areas where commercial doors will be installed and replaced. Doors are very important tools around your personal property because they provide security and privacy for your family, friends and possessions. Also, aside from the protection that they will give, new, effective and secure doors will always add style in your house. However, sometimes replacing your your old doors can be a very stressful and difficult thing to start thinking about doing. We minimize the stress of starting and successfully completing door replacement. We will always try to help you choose the right kind of doors as well as make sure that they are installed securely and expertly. Click HERE for our Residential Locksmith Gallery of recent projects including home door repair and replacement. We have been performing door repair, installation and replacement for Montgomery Village Maryland and the surrounding area for a very long time. See our gallery of our latest door installation, replacement and repair jobs here. Get in touch with us today in order to help us start to Install Doors for your home or facility. We provide the option for you to request all of our door services as well as any Montgomery Village MD locksmith service or Kensington locksmith query via our online request form here. Your business is important to you and in today’s fast paced times it is necessary for you to have top security. All commercial institutions in Montgomery Village, Maryland ought to be ever aware of the importance of securing their important equipment and documents as well as their premises. Only a highly skilled Montgomery Village Commercial Locksmith Professionals who specializes in business security can assist you in these types of projects. As one of the leading commercial locksmith in Montgomery Village MD companies, we are happy to offer our commercial clients a skilled maintenance service. Whether the job is as simple as lock installation or a dangerous security breach we can be at your location in a matter of minutes with expert commercial locksmith assistance. Business Properties are often filled with expensive equipment that holds sensitive data. When you turn the master key at the end of each day, your custom devised system provides you with complete protection from loss. We also give consultations on present-day and future leading edge security breakthroughs. Our clients’ trust is very important to us and we constantly work toward providing the top commercial locksmith service Montgomery Village MD has to offer. We, at King Locksmiths, stand behind all of our work and are proud to provide the lowest prices possible and exceptional locksmith know-how for Montgomery Village and all surrounding areas. Get in touch with us today for information on how we can help your business. 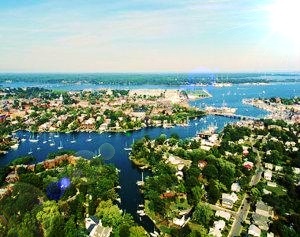 Montgomery Village Locksmith Services with King Locksmiths https://kinglocksmiths.com/montgomery-village-locksmith/ 4.3/5 based upon 18 reviews.